Have you ever imagined what it would feel like to build your own home from the ground up? There’s just something that can be said for the sense of satisfaction that you get when you see the fruits of your labor finally come together. That’s exactly what Stephen experienced when he used his MAGNATRAC to construct the basement for his new home in Limestone, MI. 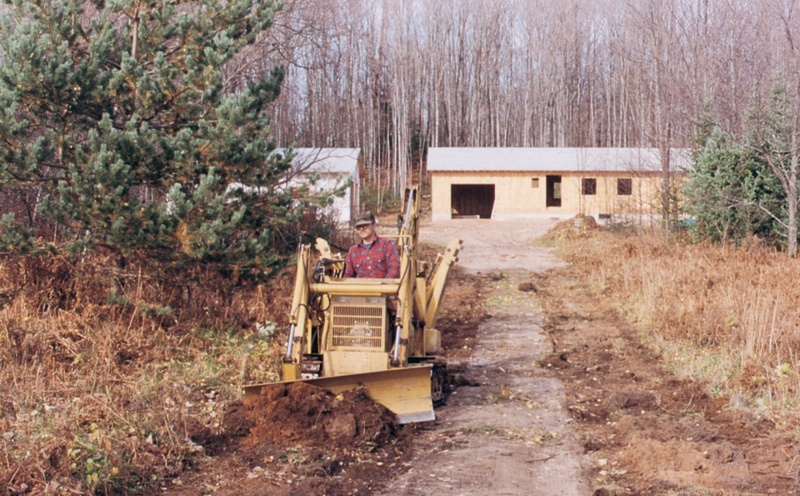 The project started with clearing away the brush from his wooded building site. The outlying trees were left in tact, providing shade and privacy around the home site. That was only the beginning. 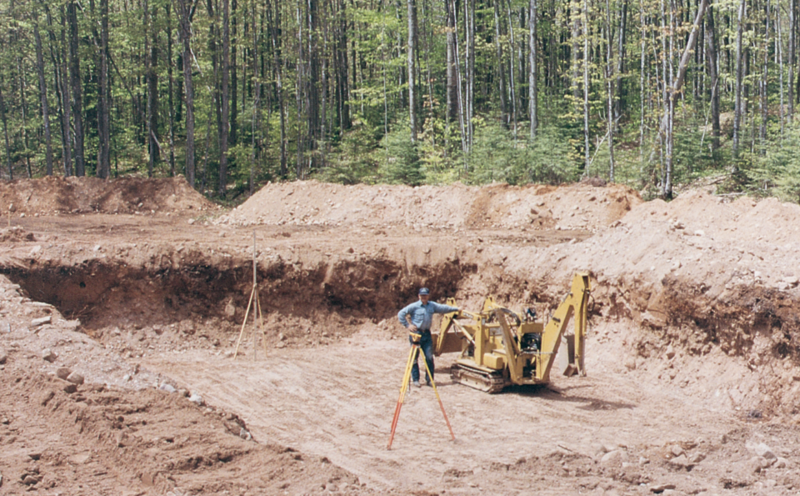 Next, he moved over 12,000 cubic feet of sandy, rocky soil with his MAGNATRAC to finally have space for a hole that was six feet deep and measured 56’ x 36’ for his new basement foundation. He said that it was “a lot quicker to back-fill the hole” once everything was finally poured. Stephen also trenched his own lines for the electrical conduit being installed, and was able to fill it back in quickly after having it inspected. 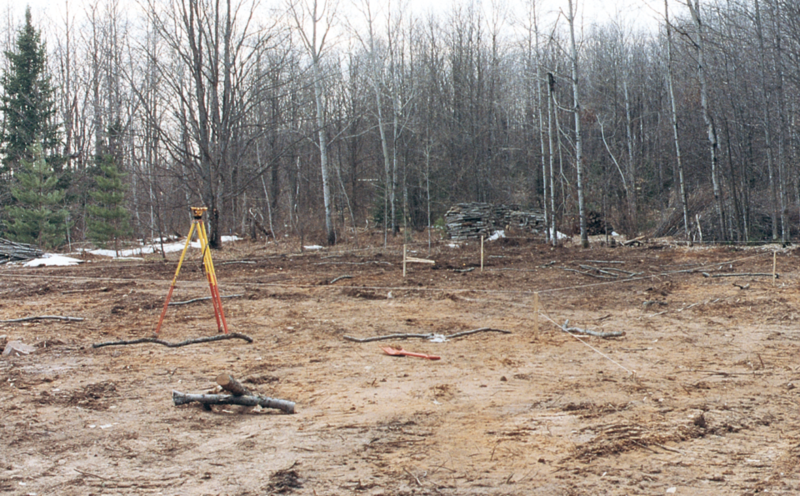 While he was at it, Stephen also used his MAGNATRAC to excavate the footings for his garage and barn. His neighbors were pretty impressed by just how much work his personal dozer could take on! He didn’t seem to want to stop, so he went ahead and leveled his driveway with the dozer while he was at it. To give it proper drainage, he slightly tilted the MAGNATRAC blade for an adequate slope to accommodate the frequent rains. Both the MAGNATRAC RS1000 and MAGNATRAC MH8000 models offer just the right amount of “umph” when it comes to projects involving grading, leveling, and moving dirt. 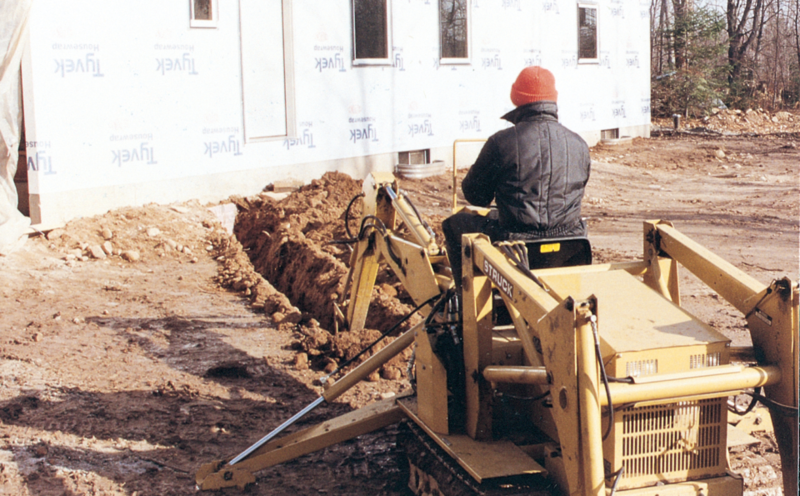 Whether you’re a home-builder, homesteader, or someone who just likes to take on projects around your property, these personal dozers have power that really pack a punch. Steve used his Magnatrac to clear away dense brush from his building site. 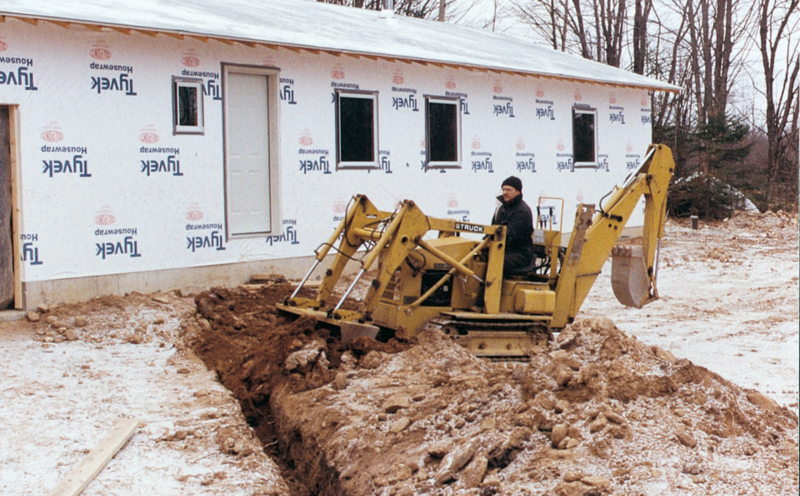 The MAGNATRAC RS1000 is geared toward small hobby farms and homeowners, while the MAGNATRAC MH8000 model is tailored toward people like Stephen, who are homesteaders, but also bridges slightly into the lighter commercial work categories while still being useful for rural homestead use…such as digging basements!